Basement Remodeling – The Ultimate Man Cave! If you have an unfinished basement in your home or one that needs a serious update, it may be time to start thinking about basement remodeling! There are many different ideas that you may want to consider when designing and planning for your remodel. Instead of wasting the space or just using it as storage, you can turn it into something useful, or fun. It is very common for homeowners to use their basement as an entertainment area or a space allocated for fun like a gaming room. But today, one of the trendiest basement remodeling ideas is a man cave transformation! You know the old school saying, “food is the quickest way to a man’s heart”? Well, today the two words “man cave” may actually warm the heart of your guy quicker than steak and potatoes. This large open space in your house can be repurposed into a mini retreat that will keep the big boy toys out of your living room. The foundation of your man cave design should incorporate the preferred hobbies and activities of the person who will be spending the most time there. Some man caves are devoted to entertaining small groups of close friends. These rooms will typically include a wet bar, fridge, a large-screen TV, and some comfortable seating. 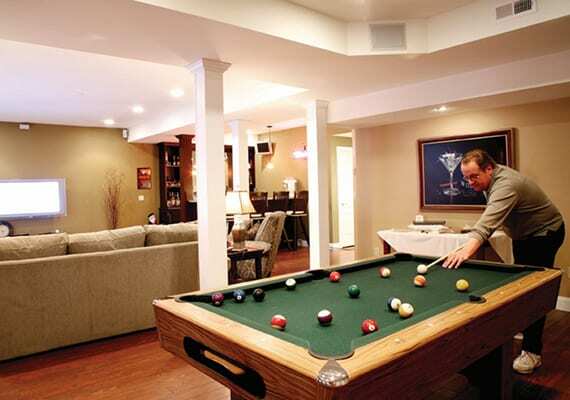 “Social” man caves make great settings for informal gatherings, such as watching a sporting event or playing cards. 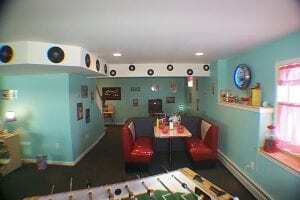 Pool tables, ping pong tables, and indoor putting greens are also quite common in a social man cave. Other man-cave design options may be more personal and/or have more meaning to the homeowner. These types of basement remodeling ideas are often devoted to a collection, or collections, driven by nostalgia. Toy trains, vintage cars, sports memorabilia, vintage musical instruments, and even old jukeboxes or pinball machines are common. Your personal man cave is a place where you can display your favorite things without worrying about whether they will disrupt the rest of the home’s décor. Personal man caves may also be devoted to other hobby items like wine, whiskey, and cigars. So now that we have a bit of an idea of some common man cave themes, let’s dig a little deeper into the décor that best suits each. Social: Deep earthy colors and natural materials, like stone, wood, steel, and leather, are often preferred and the most complimentary to the setting. Most importantly, the materials chosen must be durable and easy to clean. Personal: Décor here tends to be eclectic, with collectibles often being the main decoration. Think of it as your own personal gallery of your favorite things. Maybe it’s your collection of old hand tools, classical tin toys, or sports memorabilia. Or maybe it’s coins, stamps, or old vinyl and turntables. Shelves, display lighting, and perhaps a worktable is often all you need. Of course, there are many approaches to designing a man cave, but a quick google search for “man cave ideas,” “best man caves,” or “man cave pictures,” will turn up dozens of examples. Some may be somewhat cave mannish, consisting of walls covered by taxidermy, racks of NFL football helmets, or hundreds of old license plates. While, others are quite refined and devoted to limited-edition lithographs, sipping aged port, and smoking fine cigars. 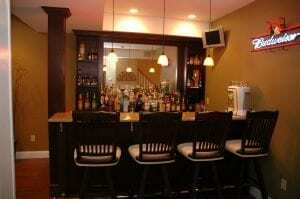 Most commonly, however, man caves are often assembled from no-cost, “found” materials and used furniture. Some may feel that the idea of spending money to decorate a man cave defeats the whole purpose of a man cave! If this is you, you may want to pass over the decoration stage, and skip right to the important fundamental “must haves”. For these, you’ll likely need to hire a professional contractor. Essential basic plumbing:A nearby sink and toilet will save many trips upstairs. A dehumidifier:A basement man cave is the perfect refuge, but it’s best to avoid letting it smell like a cave. The best way to eliminate the musty smells associated with basements, is with a high-capacity dehumidifier. Water management system:If your man cave is in the basement and it may be subject to frequent flooding after heavy rains. If this is the case, be sure to install a perimeter drain and sump pump. Exterior wall insulation:The temperature of your favorite hangout spot will likely drop into the 50’s during the winter, depending on where you live. To keep your man cave comfortable all year round, you want to make sure your exterior walls are insulated. For supplementary heat, tap into your existing heating system, install a gas fireplace, or use a portable electric heater. Moisture-resistant walls:Stone or block walls are great for a man cave, and with just a couple of coats of self-priming paint they’re done. However, if you do decide to insulate, you’ll want walls that resist moisture in the event of flooding, or high humidity. Moisture-resistant flooring:Concrete slabs can be sufficient flooring for your man cave, and can easily be painted, but they aren’t the most comfortable. A better solution is an interlocking modular vinyl tile or plank floor that provides a thermal break between your feet and the concrete. Sound proofing:There will likely be a lot of yelling happening in your new man cave basement remodel, especially on Sunday’s. Those not want to participate in watching the big game likely don’t want to hear your yelling either. Secondly, you likely don’t want to be disturbed by noise from HVAC and laundry equipment. Because of this, you may want to consider some sort of sound proofing technology! Are you ready to turn your man cave basement remodeling dreams into a reality? DBS Remodel can help you transform your damp and dingy basement into a place for Superbowl Sunday, poker night with the guys, or simply a place for the family to relax and enjoy quality time together.